This large award is perfect for a victorious team or a stellar performance by a most valuable player. Not what you are looking for? 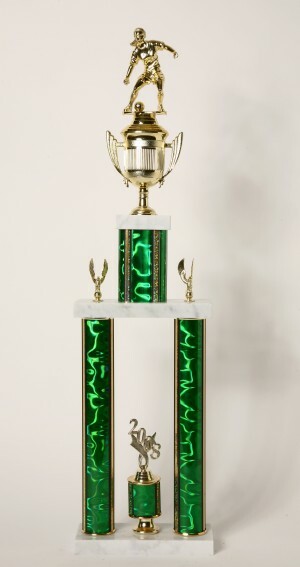 View more options on our soccer trophies page.